In this modern age, data is ubiquitious. 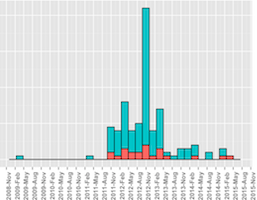 It seems to be everywhere but when it comes to Tibet-related datasets, we run out quickly. This site is built to collaborate together to gather Tibet-related datasets for both community building and political advocacy. When fake news is the norm, we owe it to each other to observe any news through critical lens. This applies to data as well. In addition, most data is not available in the right format and typically, 80% of our time is spent on data wrangling i.e. acquiring and cleaning these data. What better time to start than now? The datasets and the short analysis done here at meant to be starting points for other more-detailed projects. I see it as an exploration and hope you leave with more questions than answers. More than 100 Tibetans have self-immolated to protest the brutal Chinese regime and to demand the return of the Dalai Lama to Tibet and Tibet's independence. 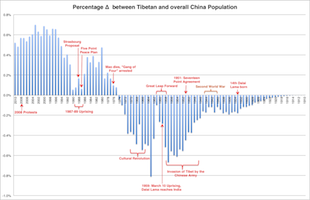 As of 2010, there are 6.4 million Tibetans all over the world with 98% of them living in Tibet and the remaining in countries all over the world. 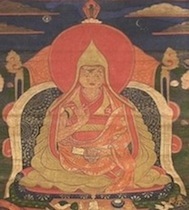 Display the age and birthplace of all the past fourteen Dalai Lamas of Tibet. 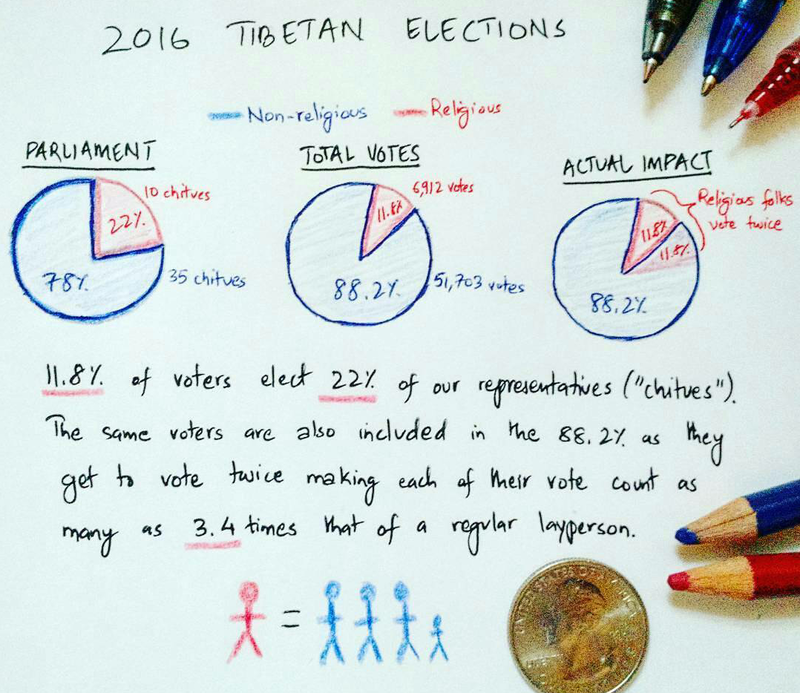 Short analysis on the 2016 Diaspora Tibetan Election.